This recipe is from NZ’s Matriarch of home cooking, Dame Alison Holst. I was first introduced to this recipe fifteen years ago when my friend Kitrina cooked it for me. Watching her prep dinner, I was flabbergasted when she mixed raw mince in with most of the other ingredients to form the base of the dish: No pre-cooking required! 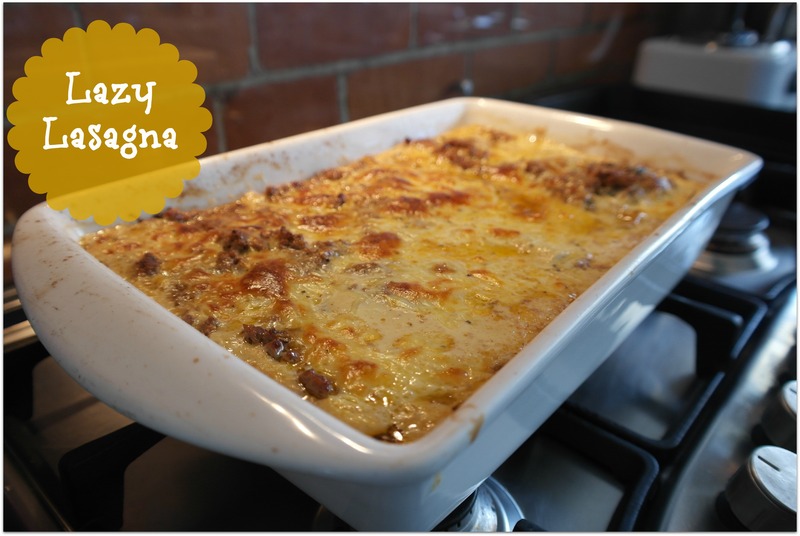 Anyhow, the result is a really good family style lasagne that takes 10 minutes (tops) to prepare. Best thing is that this recipe is always popular with kids, including my fussy little monkey, who can’t get enough of it. What’s not to like?! In my circle of friends we all thrash this recipe, it’ll definitely change the way you think about making lasanga from now on! Step 2: Spray or butter a large ovenware dish. Step 3: In a large bowl combine all the ingredients for the lasagne mixture. Mix well. Step 4: Ladle 1/3 meat mixture into bottom of dish and place layer of lasagne sheets over the top. Step 5: Sprinkle 1/2 cup of grated cheese on top. Layer another 1/3 of the meat mixture, then lasagne sheets, then the other 1/2 cup of grated cheese. Step 6: Place the remaining meat mixture over the top. Step 7: Cover in tin foil. Bake in oven for 50 minutes. Step 8: Combine the cheesy topping in a bowl and mix well. Remove the foil from the cooked lasange and pour over the topping, sprinkle paprika over the top, then bake for a further 10 minutes or until golden (whack the grill on if it needs a boost..!). Step 9: Remove from oven and leave to stand for 10 minutes to ‘settle’ before serving. Makes 8-12 squares (8 if feeding adults, 12 if there are little people eating too). Fancy a fancier lasagna? Try this one – which is the world’s most popular ever recipe! (Recipe is from NZ’s Stuff website, which has been adapted for a non US audience). 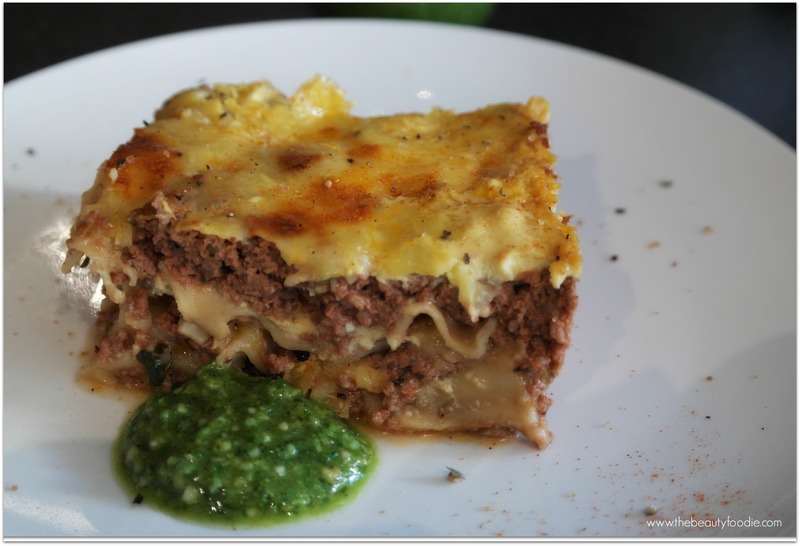 Also, check out this blogpost to read how Alison’s lasagna compared with the world’s most popular ever recipe! PS: How the heck do you spell lasagna anyway? Lasagna, or lasagne?! Your brows. Do them. Please.